Almost a month has passed since our start and while staying at Ist Island we had time to reflect about the Croatian Islands we have seen so far. We also slowly start to mess up the different places we have been to, but at the same time we noticed every island has its own charm and character. 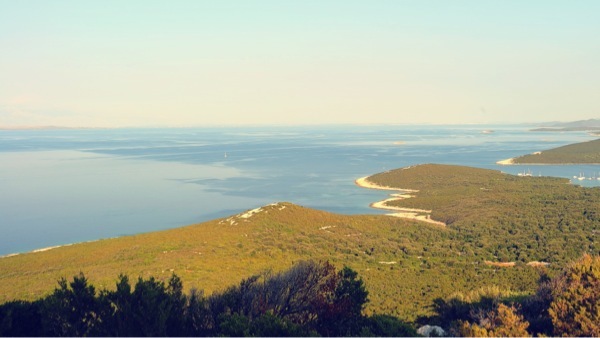 All along the coast of Istria and now approaching the "Kornati Islands" we found beautiful bays with clear and blue warm water, sunshine every day and a nice breeze in the evenings. The photos were taken from a hill on Ist Island, one of our favorites till now. If you can point out our boat you win a week of holiday on Ist, just kidding.